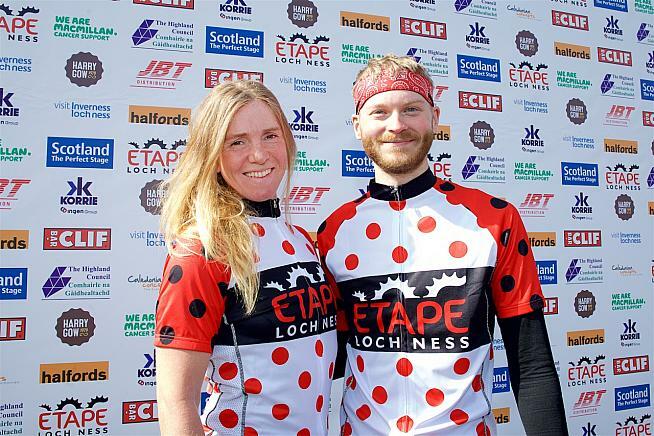 Two stars from the world of endurance cycling will appear at this year's sellout Etape Loch Ness, sharing the highs and lows of their adventures with thousands of riders in the Highland capital of Inverness. Jenny Graham will share the highs and lows of her epic bid to become the fastest woman to cycle around the globe. Eden Court, the event hub for the Etape Loch Ness over the weekend of April 27 and 28, will host an inspiring afternoon of film, storytelling and adventure as 5,600 riders prepare to saddle up for 66 stunning miles of closed-road cycling. The venue will host a talk from Jenny Graham, who became the fastest woman to cycle around the globe, along with Commonwealth mountain biker Lee Craigie's award-winning film on the epic 2,745-mile Tour Divide mountain bike race. 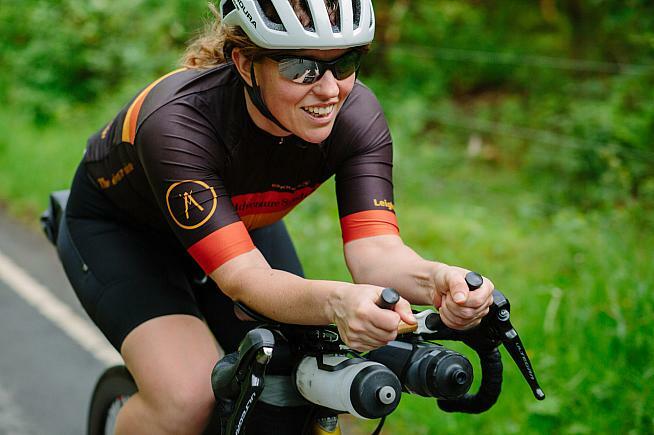 Inverness-born Jenny, who is taking part in Etape Loch Ness this year, entered the Guinness Book of World Records after completing her unsupported solo ride in 2018. She'll be recounting the physical and mental demands of her 18,000-mile journey across four continents and 16 countries - which she completed in 124 days - in a fascinating insight into her adventure. Lee, who has twice previously been the fastest female around the Etape Loch Ness course, will show and discuss her film - Divided - on riding Tour Divide along with fellow female cyclist Rickie Cotter. They captured footage of their adventures on the mountain bike race from Canada to the Mexican border with Go Pro cameras and iPhones - the result being an inspiring film which was selected to tour with the Banff Film Festival, and won best adventure film at last year's Kendal Film Festival. Lee Craigie - fastest woman around Etape Loch Ness in 2016 - will present her award-winning film Divided. With event registration, food and drink, mechanical support, and cycling retail stands also set up in the grounds of Eden Court, Etape Loch Ness promises to create a real festival atmosphere. Event director Malcolm Sutherland said this was just another example of the way Inverness has embraced Etape Loch Ness and the many thousands of riders who travel from across the UK and beyond. He said: "We are incredibly grateful to all the support that Eden Court has provided as the event hub over the years, and these events are a fantastic addition to the weekend's programme. It really helps to add to the already great festival feel that Etape Loch Ness brings to Inverness. "I know that riders will be very excited and looking forward to getting out there to complete the event on traffic-free roads and listening to the incredible achievements of these remarkable riders will only provide further inspiration. "We get excellent feedback from riders year after year about the warmth of the welcome they receive from the local community, and events like these being hosted by Eden Court will help to make them feel even more at home." Both Jenny and Lee's events will take place on Saturday 27 April. Tickets cost £6, and can be booked online at www.eden-court.co.uk or from the Box Office on 01463 234234. Starting and finishing at Eden Court, the Etape Loch Ness route follows the A82 along the north side of Loch Ness where riders take in the impressive sight of Urquhart Castle before heading on to Fort Augustus, passing through towns and villages to the cheers and applause of local residents. Switching onto the south side, the cyclists will then face the challenge of the timed King of the Mountain stage - a 4.8-mile climb gaining 380m in height. All participants will receive a split time for this section, with the fastest male and female being crowned King and Queen of the mountain. The route continues on along the south side of the loch before returning to the centre of Inverness where hundreds of spectators will be gathered at the finish line to welcome them home. Further information on this year's Etape Loch Ness is available on social media - Facebook, Instagram and Twitter @EtapeLochNess.